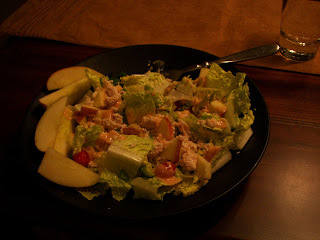 This is an easy dinner, and the combination of veggies and fruits is really good! Combine first 5 ingredients and sprinkle over romaine lettuce. Top with dressing. I also added some cheese on top and that was a good addition.